Nother e-gray purchase. 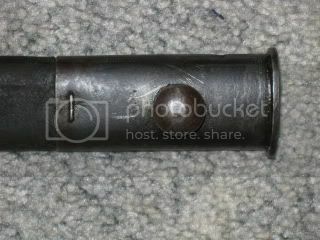 1918 remington. 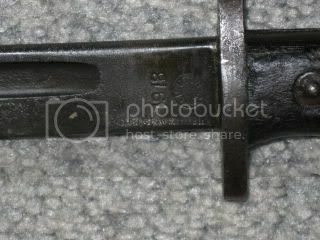 Does anyone know if the scabbard is issue? 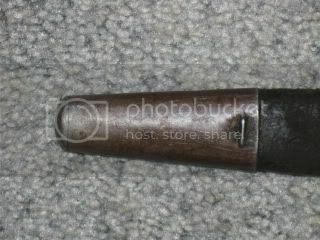 Looks like a 1907 scabbard to me? SOG was the seller. Blade has a rough finish to it. Thanks A-square10. I thought so but, didn't really know. Guess I did read some were that remington was going to use the actual date then was told to go back to 1917. I was just wanting something to go on my USm1917. hummm. guess i'mon the lookout for a us scabbard. Heck one of those newre contract m8 style[because I don't know the real name], plastic doojobbers would be ok for me. Betting that a period one would be a hand and foot. Well, I'm not a serious collector, I just have to have something to go on the rifles I have. This one is kinda rough really.